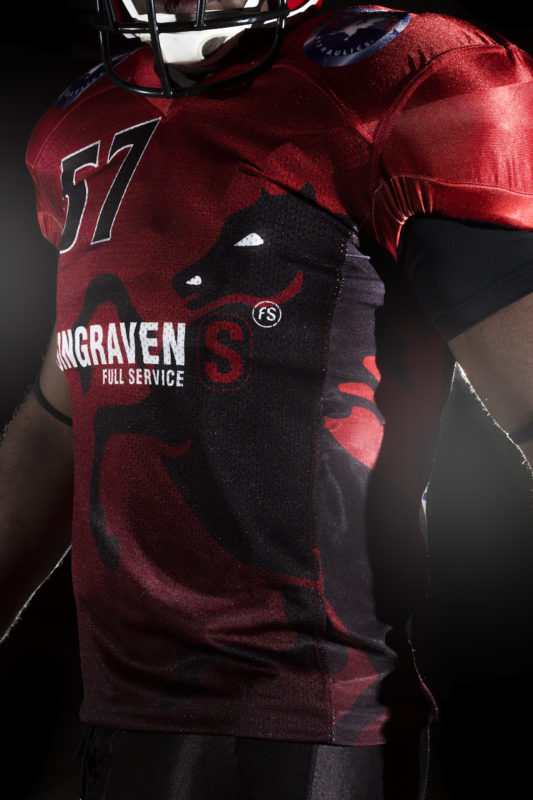 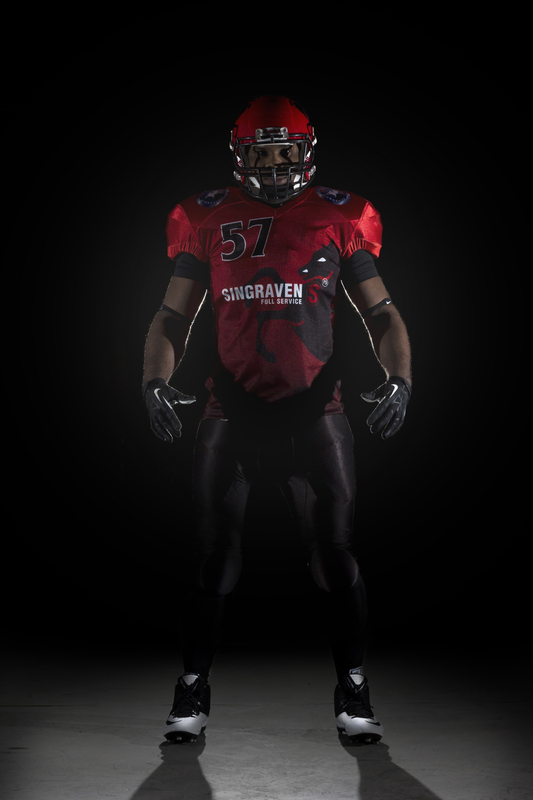 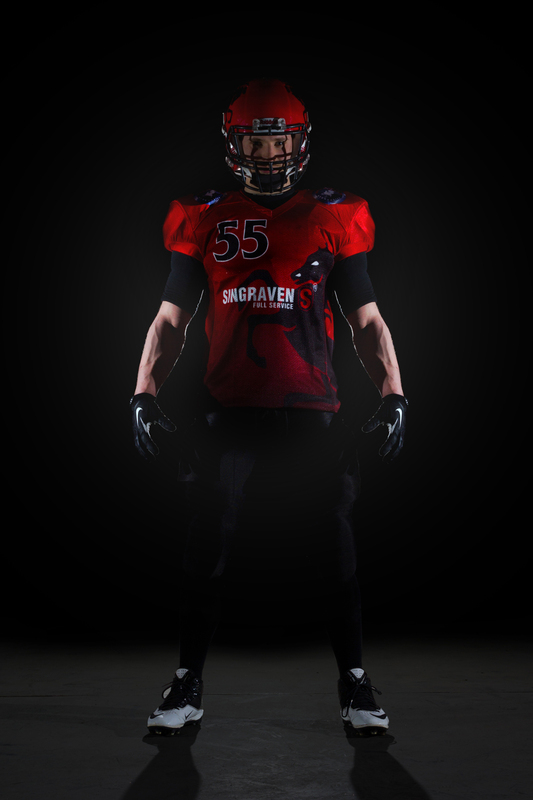 The Enschede Broncos are proud to reveal the new 2015 uniform. 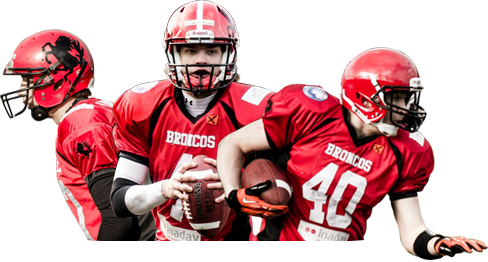 The Broncos are the first team in the Netherlands to have a sublimated jersey. 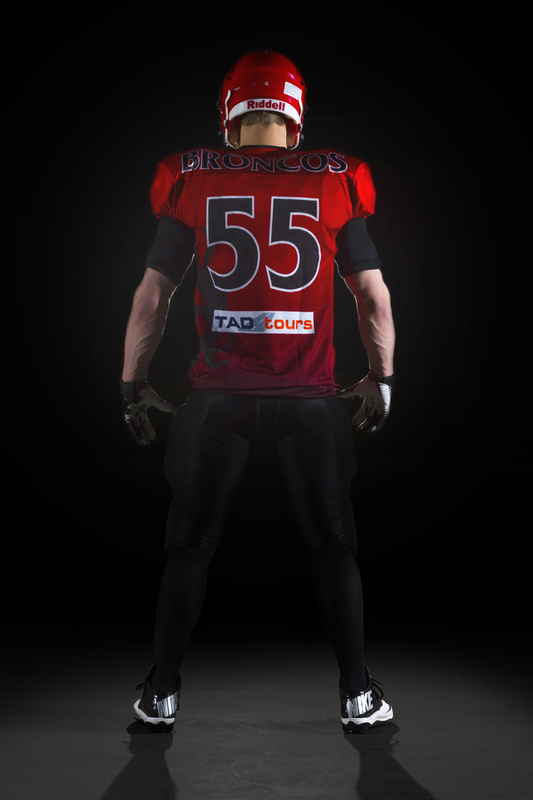 This technique allows the logo, the sponsors and numbers to be printed on the jersey. 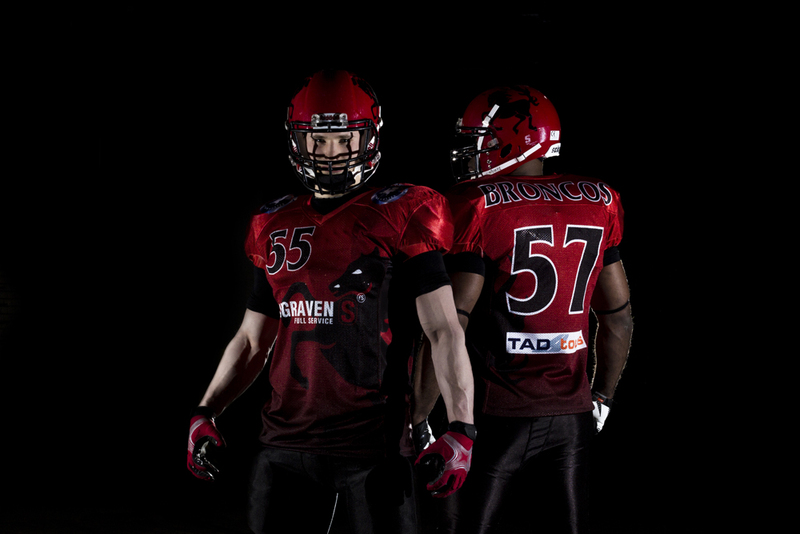 The jersey fades from scarlet red to black which creates a transition from the red helmet to the black pants. 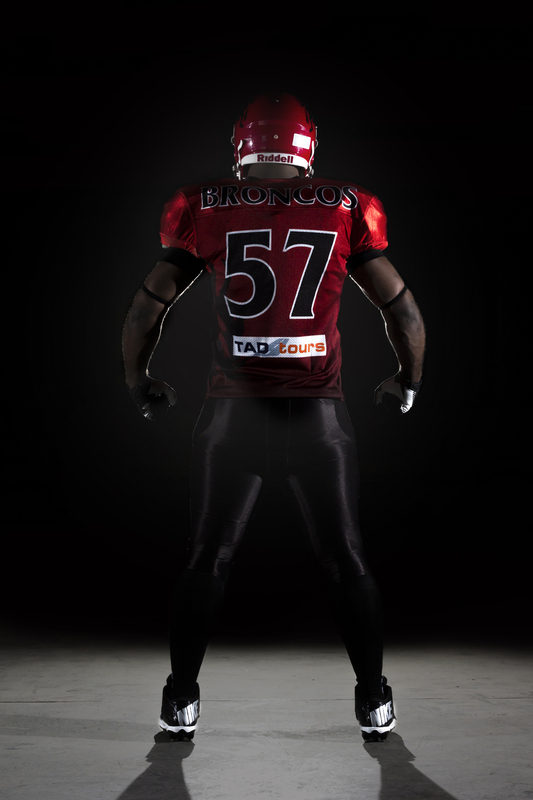 Most characterizing of the new uniform is the black Bronco printed on the side of the jersey.